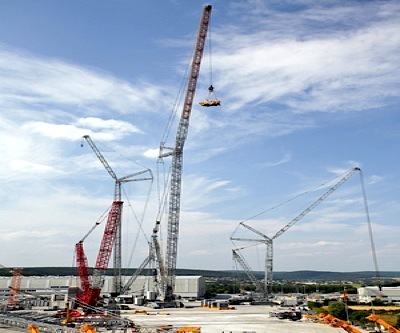 German equipment manufacturer Liebherr says it has constructed the world’s tallest conventional crawler crane, standing at a height of almost 250 metres in the town Ehingen, approximately 70 km southeast of Stuttgart. According to the Switzerland-based company, the crawler crane’s main mast stands at 120 metres, while the luffing jib stands at 126 metres. It stood at 248 metres when it was first set up in July. The crawler extends 86 metres above the height of Germany’s Ulm Minister, the world’s tallest church and it can lift a load of up to 624 tonnes with a single heave. This is the equivalent to say that this new piece of equipment can lift around 600 small cars.